Attends Briefs® Waistband Style offer many of the same features and benefits of our other briefs, but are specifically made to provide a more customized fit with its unique waistband design. oft-stretch waistband for comfort and fit. 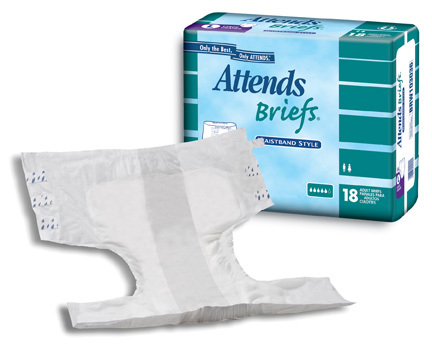 Soft, cloth-like inner liner is gentle against the skin. 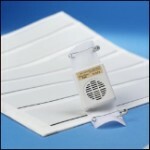 Poly outer covering prevents leakage and provides ease of positioning. pH-reducing fibers and super absorbent polymer channel and lock fluids in the core and help prevent odor. Six standard tape tabs for custom fit. White color for discreet wear. Packaged in discreet outer cases. I love the attends with waist band they are plastic on the out side and protect against leakage very well there a little noisy but i don't mind.